When the mountain demands your all, you need reliable equipment. 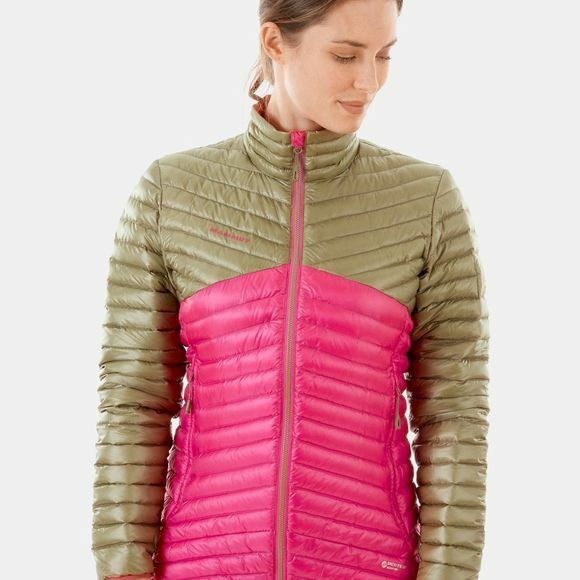 Take the Broad Peak Light IN Jacket Women with you. 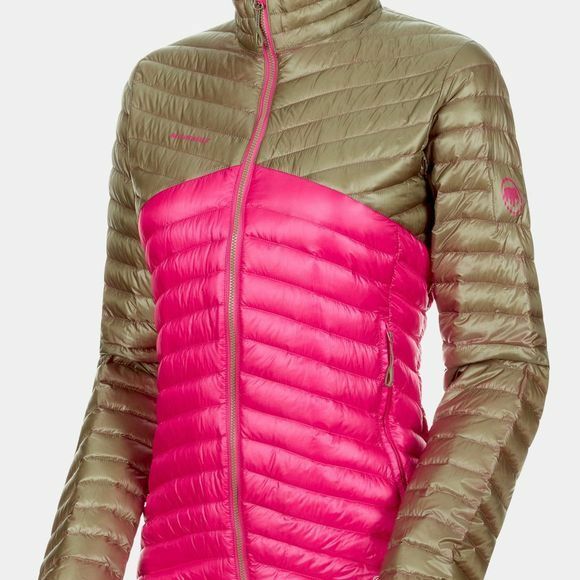 This insulating jacket boasts Pertex Quantum material on the outside, which is totally waterproof and protects you from any unexpected showers. The down filling keeps you reliably warm. The jacket won't let you down even with a climbing harness. Its pockets are tailored in such a way as to be extremely comfortable to use despite a climbing harness. It'll help you reach all your goals!